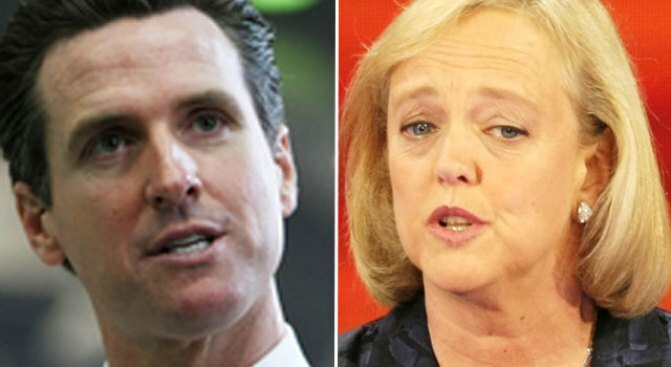 Gavin Newsom announced his (expected) run for governor via Twitter, while Meg Whitman has been stumping for Republicans since the '08 RNC. Californians will vote for a new governor in 2010 but the campaign is already in full swing, with appearances by the likely top candidates from each party today. 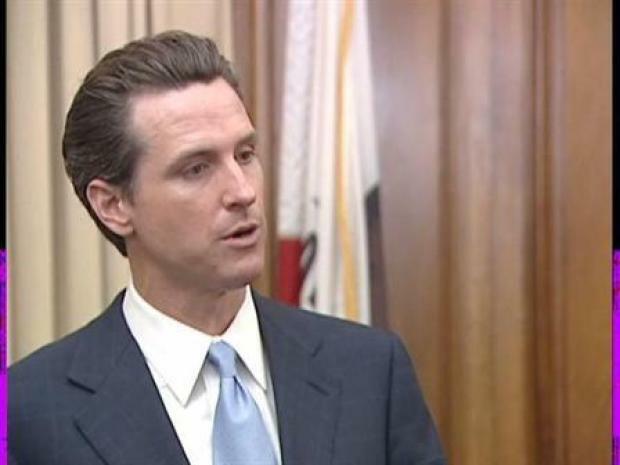 San Francisco mayor Gavin Newsom, the Democrat, pitched healthcare plans, while former eBay CEO Meg Whitman, the Republican, talked up her business career. Sound familiar? Welcome to the next year. There's an art to their media omnipresence. The chatty Newsom may wonk out on healthcare, while Whitman drips Harvard Business School platitudes. It's safe to tune it all out: The only message they really care about getting across is "vote for me." Whitman, who announced her candidacy earlier this year, spoke at 9 a.m. at the Silicom Summit 2009 at Stanford University this morning. (The event is backed by Silicom Ventures, founded by Apple cofounder Steve Wozniak.) According to InternetNews.com, she preached the importance of "focus" and said she practiced "the art of exclusion." She also talked about how Web startups like eBay had to learn to make "revenues exceed expenses" -- not an easy trick for an Internet company, but even harder for the state of California lately. Mayor Gavin Newsom announced on July 1, 2009, the Healthy San Francisco provider network will expand to include Kaiser Permanente as a provider of care to the uninsured. An hour later, Newsom had an event in San Francisco to announce a partnership for the city's universal healthcare program. Newsom's tweets tell the tale of a gubernatorial candidate in action. From appearances on CNN's Larry King talking about gay marriage, a radio show in LA, numerous events in San Francisco, and today's Healthy San Francisco announcement. Whitman's on Twitter too, but has far fewer followers and posts.